A trained leader is a better leader! Whether you’re new to Scouting or a long-time member, there’s always more you can learn. Training is an important part of learning to become an effective leader. The scouting position you hold will be easier and more effective once you develop the skills necessary to deliver a quality scouting program that every youth deserves. Click to see all adult training’s offered by the BSA. Click to print “Trained Leader Requirements” for all positions. Select your program and position to see what training’s are required and available for you. 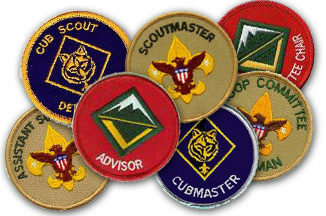 Please Select Cub Scouting: Boys 7-10. Boys are part of a pack. Boy Scouting: Boys 11-18. Boys are part of a troop. Venturing: Co-ed 13-20. Youth are part of a crew.